If you're on a long-haul flight to somewhere in the world then amenities like Wi-Fi and power sockets can make a big difference to the experience - and finding out about those options ahead of time is about to get much easier on Google's Flight search portal. The tech giant has signed a deal with Routehappy to pipe data on Wi-Fi, seat type, legroom, power sockets and more into its search engine, so the next time you're choosing a flight you'll have a lot more data to go on. 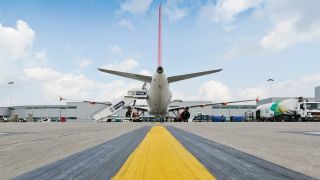 Wi-Fi is perhaps the most important detail of the lot, though airlines have been slow to roll out a decent standard of connectivity. If you need to get some work done while you're up in the air then Google's flight search engine now has you covered. Routehappy calls these details "Happiness Factors" and is on a mission to give passengers more information beyond price and schedule when picking flights. It already partners with several firms including Expedia and Virgin Atlantic. "We know people are looking for more information about the flights they're taking before they buy, so integrating Routehappy Happiness Factors is a great addition to Google Flights," says Google's Gianni Marostica. "Now even more people have access to comprehensive flight amenity data and useful flight search information." The next time you run a flight search on Google you should notice small icons denoting Wi-Fi, power and other amenities pop up next to your results, although the data available depends on destinations and airlines.